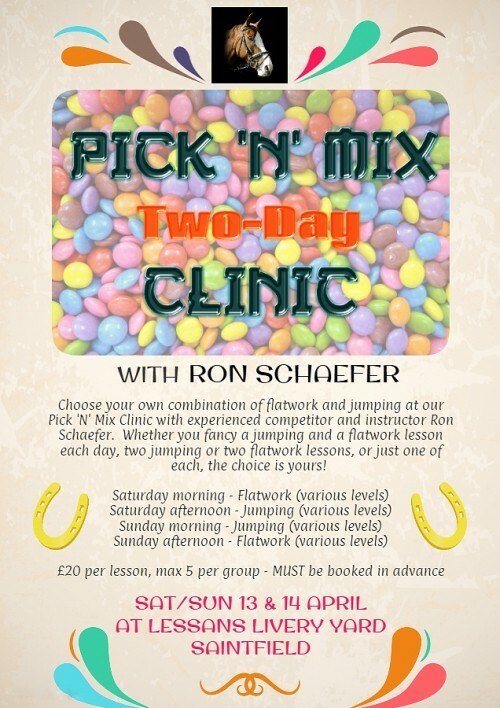 Sat/Sun 13 & 14 April - The ever-popular Ron Schaefer is returning to Lessans for a Pick 'N' Mix clinic - choose to have between one and four lessons across two days, in either flatwork or jumping or both! Max. 5 per group and limited availability for private or joint private lessons; full details on our What's On page. MUST be booked and paid in advance. Visit our What's On page to see what else we've got lined up! And don't forget that we're now on Instagram too - click here to check us out...!